Welcome to the 3 Twenty Crafts 2nd Release Blog Hop! This week we have a ton of inspiration to share with you, lots of amazing projects showcasing the new stamp release and some giveaways too! You will be so amazed with this new release and I am excited to share the first stamp set with you today! My designers have really did an amazing job showing you how versatile these stamps are and just wait until you see it for yourself!! To win todays stamp set Simple Sentiments, make sure you stop at each blog along the hop, become a follower and leave a comment. The winner will be chosen randomly and nobody knows which designer's blog I will choose the winner from. 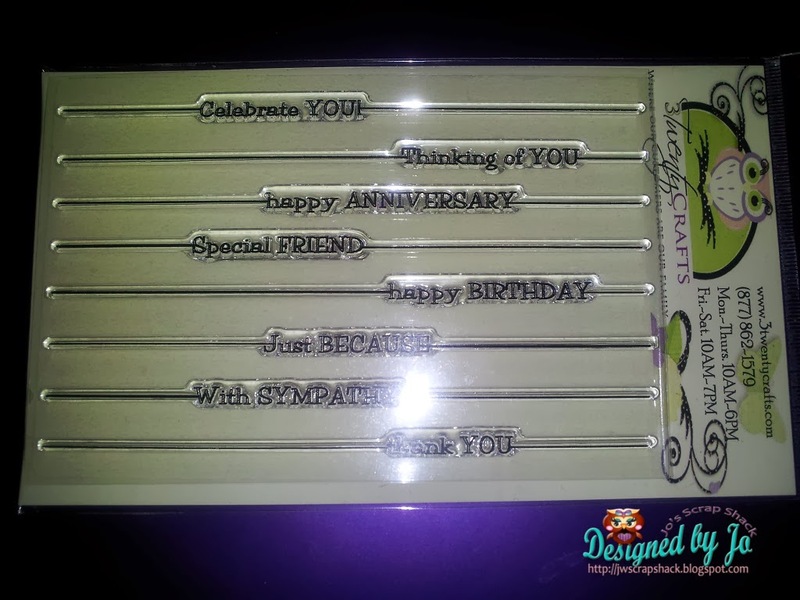 Love , Love this stamp set !!! You did a fantastic job designing these !! Wow first time here I went to each site and wow some awesome cards made with these great stamps Jo.....Super Job my friend. Wow for the first time ever doing this there's a lot to see and do, made it through each one although one didn't have anything posted yet. I have my work cut out for me to use your stamp set as nice as your team has. Just Awesome. I really like the simplicity of this set with all the useful sayings! Neat looking stamp set. I have seen a few of the projects and I am getting ready to see a couple more. Great all around stamp set! It has such a great number of uses! All of your DT really did a great job on their projects. Kristin and Tina M. do not have post, but the rest were great! Good luck with your stamp line! Great new set! Fabulous sayings! Kristin M. does not have a current post. Link for Tina M. is not correct on this blog but was correct on Tina C. as next in line. This set is my fav. I love the line sentiments.